Hot dog! It’s the weekend and you know what that means, right? 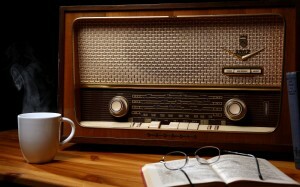 It’s time to relax and enjoy life and we here at Nobles Law Firm have just the thing to make your weekend even better — a sparkling old time radio program with a legal theme. Fun, huh? Of course it is! What’s in store this weekend? Another episode from the Case Dismissed series that aired in 1954 and was brought to the listening public by the Chicago Bar Association. That series featured overacting and some stiff dialogue, but it was also a heck of a lot of fun. And a very special thanks to the folks over at Old Time Radio Researchers Group for both making the Case Dismissed series available and for their efforts to preserve OTR programs. Having said all of that, click the below link and enjoy this week’s program.